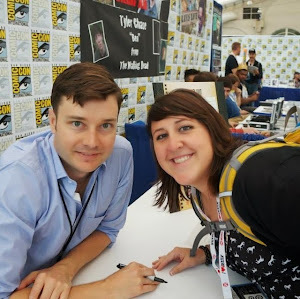 CULVER CITY, Calif. (Jan. 20, 2015) – Based on Diana Gabaldon’s international best-selling book series, OUTLANDER: SEASON 1, VOLUME 1 will debut on Digital HD Feb. 9, and on March 3, fans can add the Limited Collector’s Edition to their libraries, along with the Blu-ray and DVD from Sony Pictures Home Entertainment. This New York Times best-selling series that encompasses romance, science fiction, history and adventure has been published in 26 countries and translated into 23 languages, selling more than 26 million copies worldwide. 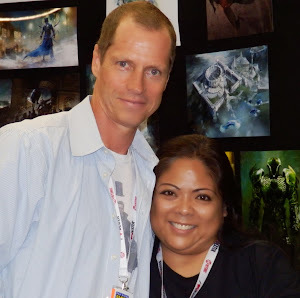 Legions of devoted fans were delighted when Gabaldon agreed to the production of the story she began more than 20 years ago. OUTLANDER premiered on Starz to rave reviews and record-breaking audience numbers, starring Caitriona Balfe (Super 8) as WWII nurse Claire Randall, who, while on a second honeymoon with her husband, finds herself inexplicably transported back in time to Scotland, circa 1743. Forced to marry Jamie Fraser, a chivalrous Scottish warrior played by Sam Heughan (A Princess for Christmas), Claire begins an extremely challenging life that places her in two completely different worlds and with two different loves. Praised by critics and fans for the high production value and authentic period detail, Gabaldon’s portrayal of her amazingly strong female protagonist truly comes to life in this visually breathtaking series from Sony Pictures Television. OUTLANDER: SEASON 1, VOLUME 1 contains all eight episodes in two-disc sets loaded with special features for collectors and fans alike. Avid viewers can also follow Claire’s epic journey through time with the Limited Collector’s Edition, featuring a 32-page book filled with photographs, excerpts from the scripts, and an introduction from author Diana Gabaldon. Also included is a placeholder for Volume 2, allowing fans to complete their Season 1 collection. 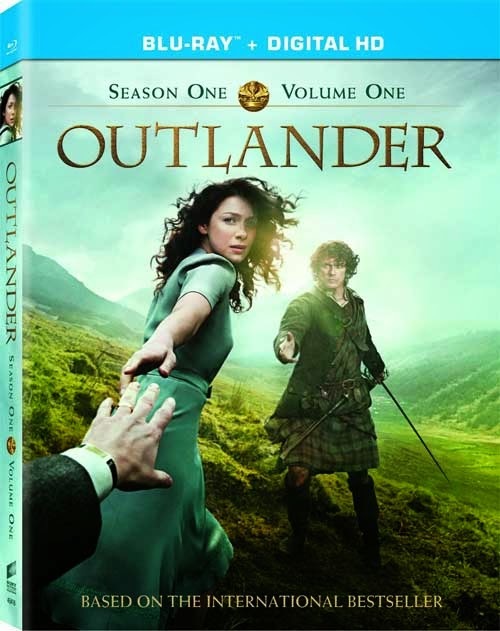 The stand-alone Blu-ray and DVD sets for OUTLANDER: SEASON 1, VOLUME 1 will include two all-new featurettes. In the first featurette, “Outlander: An Epic Adaptation,” Diana Gabaldon shares the story of writing her first book and her thoughts about executive producer Ronald D. Moore bringing her stories to life. In the second, “Authentic in Design: The Dresses and Kilts of Outlander,” producers and costume designers take viewers through the extraordinary wardrobe and share the distinct process of creating 18th-century fashion for the series. Blu-ray exclusives include 21 deleted scenes and four additional, all-new featurettes. Fans can take an inside look at the casting for the show in “Casting Outlander,” and see how the actors immersed themselves in horseback training, Gaelic classes and much more for their roles in “Emerging a Scot: Cast Goes to Boot Camp.” Viewers can also learn about the significance of the home to the Clan MacKenzie in “On Location: Castle Leoch and the Magic of Scotland,” and take an in-depth walk through of both the set and stages with executive producer Ronald D. Moore. Stephen Walters. The series was developed by executive producer and Peabody Award Winner Ronald D. Moore (2005, “Battlestar Galactica”), best known for his contributions to the Star Trek franchise. Outlander is produced by Tall Ship Productions, Story Mining & Supply Company, and Left Bank Pictures in association with Sony Pictures Television. Outlander follows the story of Claire Randall, a married combat nurse, who, in 1946, is mysteriously swept back in time to 1743, and immediately thrown into an unknown world where her life is threatened. When she is forced to marry Jamie, a chivalrous and romantic young Scottish warrior, a passionate affair is ignited that splits Claire’s heart between two vastly different men in two irreconcilable lives. OUTLANDER: SEASON 1, VOLUME 1 episodes include: Sassenach, Castle Leoch, The Way Out, The Gathering, Rent, The Garrison Commander, The Wedding, and Both Sides Now. Broadcast Year: 2014 (Starz). OUTLANDER: SEASON 1, VOLUME 1 is not rated.